Several weeks ago I was on Polk Street and stopped into Smoke Signals, which has a truly astounding array of magazines. We are not talking Glamour and Cosmo either, they've got tons of international and shelter publications that I've never seen before. I splurged on two -expensive (apartamento was 20$ and Cabana 40$), but really like buying books because these are keepers. apartamento -published in Spain with english text, bills itself as "an everyday life and interiors magazine". No tidy interiors in here, which I LOVE. Cabana, on the other hand is exquisite, with a fabric cover and full of beautiful, tasteful maximalist interiors. It's Italian with english text. Both are biannual publications. 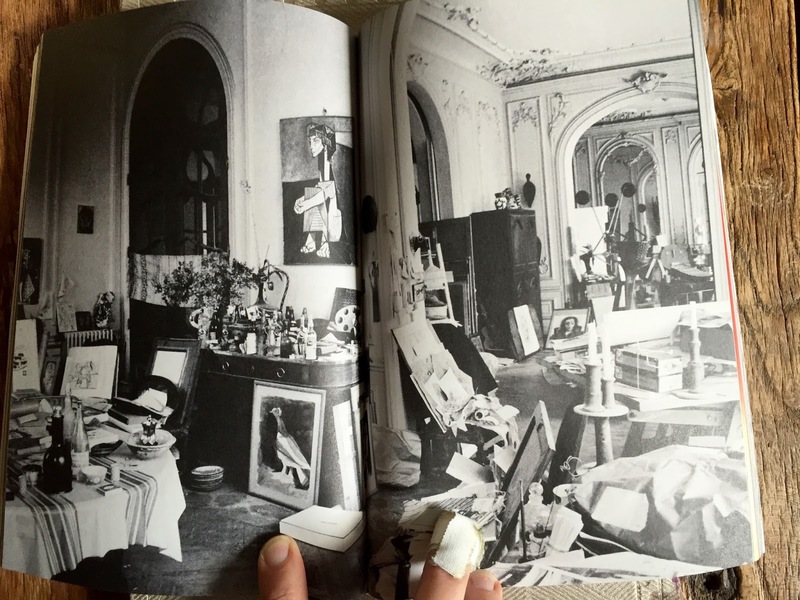 apartamento had a fascinating spread on Picasso's villa La Californie. 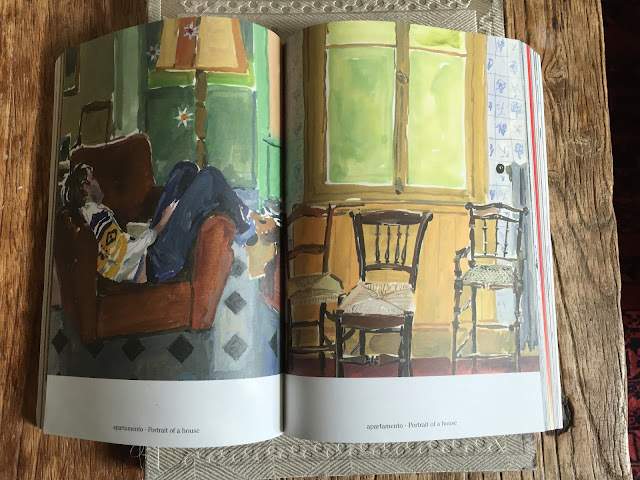 It also featured a series of paintings by Jean-Philippe Delhomme. I just love, love, love this artist. His old blog is so worth a look and so is his Tumbler. Cabana is all layers and texture. 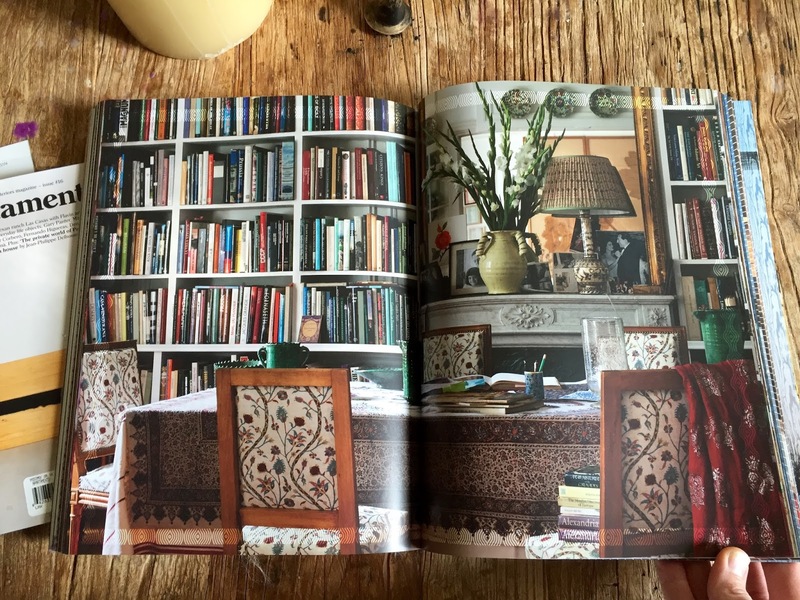 It is a textile lovers magazine - maximalist, but at the same time, low key. The photos are beautiful and printed on thick matte paper. The most staged shots in this issue are of Carolina Irving's Paris apartment but also there are lots of visually rich, less perfected interiors. 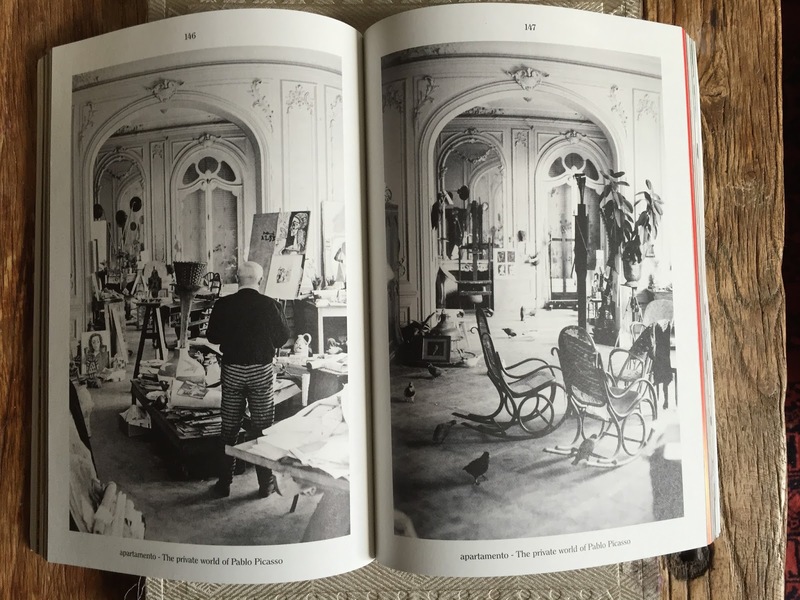 Both of these magazines are a perfect antidote to the Kinfolk interiors book I bought recently on Amazon. ZZZZZZZZZZ! Aside from a couple interesting spaces, boy was that a depressing snooze fest and a waste of $$$. I don't even read magazines anymore, I far prefer digital perusing. These, however, are so good, I will probably either subscribe to both or return to buy the next issues. Anyone recommend anything else that's not run of the mill? Do tell.